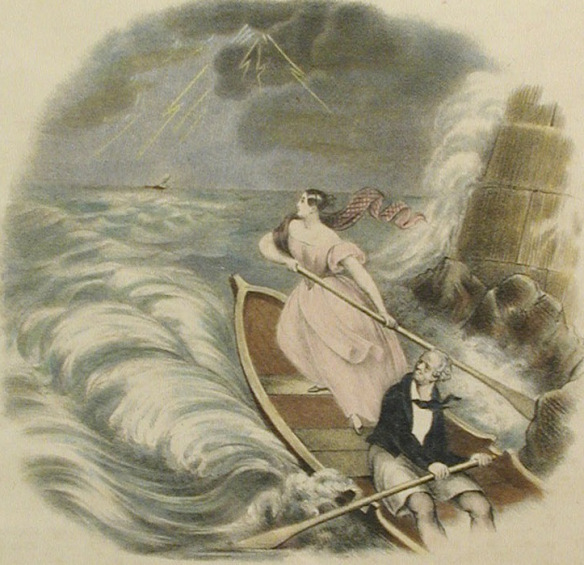 The wonder of Grace Darling’s 1838 rescue of nine shipwreck survivors captured hearts the world over. Nicole Cama shares the story of the ‘Heroine of the Farne Islands’ and its tragic conclusion. What is it about the lighthouse that captures our imagination? true, the lighthouse is a sturdy, dependable symbol of nautical safety, yet often there seems to be less attention afforded to those responsible for tending a lighthouse. there is one story I believe encapsulates the persona of the lighthouse keeper. 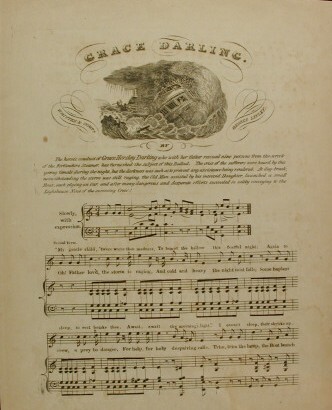 Detail from the sheet music of the quickstep dance ‘Wrecker’s Daughter’. Courtesy of Australian National Maritime Museum. As the sun rose on 7 September 1838, a 23-year-old woman named Grace Horsley Darling was peering out a window of Longstone Lighthouse in the Farne Islands, off the coast of Northumberland in England, when she spotted a shipwreck. According a report by her father William Darling, the lighthouse keeper, Grace spotted the wreck at about 4.45am. It wasn’t until 7am that they were both able to observe people moving on a nearby rock and decided to launch a rescue effort. Over the next two hours, Grace and her father battled strong winds and intimidating swells in their 20-foot (6-metre) boat to rescue nine people from the wreck of SS Forfarshire. As they paddled perilously close to the rock, William leapt across to assist the survivors while Grace faced the difficult task of manoeuvring the vessel on her own. Within days of the rescue, word spread of Grace’s heroic deed. Her story of survival during what was considered a suicidal mission spread to neighbouring towns before it travelled across the Atlantic to America and finally to Australia, where it was first reported in newspapers in February the following year. Await, await the morning’s light. Oh! Father, heard ye that piercing cry? Like to some wild bird, the frail skiff flew. Eminent poets, dramatists, and painters, have vied with each other in extending her renown. And the name of Grace Darling is destined to live in story, long after the ponderous blocks of granite, which compose the Longstone lighthouse, have crumbled from their foundation, and been ground into sand by the attrition of the surrounding ocean. NOTE: This article was first published in Inside History magazine, Issue 18, (Sep–Oct 2013), pp 52–53. Reproduced courtesy of Inside History magazine.